Sometimes when nonfiction books such as the one titled above are offered for review, I sense the Holy Spirit prodding me to sign up to read the book. There are times when I come away with a treasure, which means that though there are some things I might disagree with in the book it contains some nuggets of gold that I might want to refer back to. Some of these nuggets of gold help expound Scripture and some speak deeply to my heart and are found in the Bible. Other times I come across books that just aren’t Biblical in their stance or in the defense of what points it puts forth to readers. So as I began reading the book to prepare writing a review it wasn’t long before I was confused or upset by some of the points made by the author. First, in a discussion with a young girl looking for answers he dismisses the existence of Hell. The girl is upset because relatives are crying saying that the relative who passed is in Hell as she never believed in Jesus as her Savior. The author talks with this girl and basically dismisses the existence of Hell and has the girl put her grandmother into the hands of a loving God. In doing so, he gives the girl untruth just to make her feel better. There are some serious issues with this book. First, it doesn’t take the whole counsel of God. Second, it looks at what we have written in the Word about Jesus and applies it to God. Yet, the writer of the Gospel of John forgets that we don’t have written accounts of all Jesus said and did, because if we did the world couldn’t contain the writings (see John 20:25). People are looking for answers about or from God about some events, actions or happenings this side of heaven, so let’s remember a couple of things. One, He is infinite we aren’t. Two, there are some things we are not going to understand this side of heaven. Third, God doesn’t owe us an explanation; however, we do owe Him our worship, our very lives. Finally, what we have in the Scripture is God-breathed and therefore without error. Anything written by any human is subject to errors; we aren’t perfect this side of heaven. 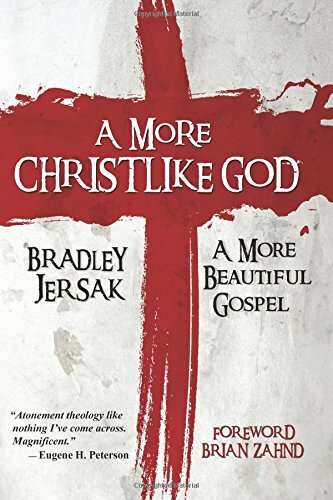 It breaks my heart that a book that takes what we do know about Jesus as God revealed in the Bible without remembering it isn’t everything Jesus said or did, and thus fails to be founded on solid ground. Our place is to worship, adore, submit, and more. He alone is God; He alone knows all, sees all, and understands all. We are finite and we serve Him, not the other way around. Frankly, instead of demanding God answer us or explain to us our why’s and wherefore’s, we need to kneel to His Sovereignty and be at peace with not knowing. Why? Simply, it’s the Truth!